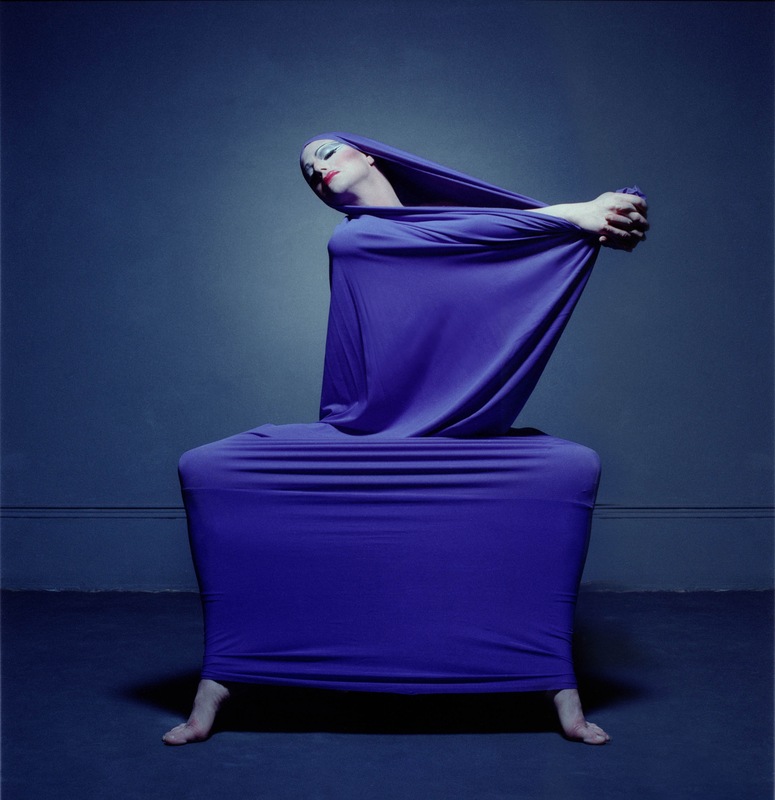 Richard Move as Martha Graham. Photo by Josef Astor. For my part, I will be focusing on the dance/performance angle with previews, interviews with dancers and choreographers, behind-the-scenes tidbits and rehearsal viewings. I’m particularly excited to talk with Richard Move, a multi-talented artist who has won awards for his portrayal of Martha Graham. Move will be hosting the MCA Moves program on Wednesday, August 24th. “It’s quite a coup for us to have him this summer,” says CDF co-founder Jay Franke. “Especially for us forging into this new territory for the festival with kind of more avant garde work, we thought it was really important to have him because he’s kind of the glue that keeps it all together and will be able to narrate it for the audience. He’s basically narrating the evening. The way we’re setting it up is almost a vaudeville style. The beginning he will be giving kind of a tutorial on the Graham technique, then the various performances he will introduce and he finishes by doing his version of Lamentation. He’s brilliant.” I can’t wait to hear how his obsession with Martha began. Museum of Contemporary Art (MCA) tickets – this includes the MCA Moves (Aug 24) and Moderns program (Aug 26) – to be released (while available) at 10:00 am on Tuesday, July 19th. You can get them in person at the MCA Box Office (220 E Chicago Ave), by calling 312.397.4010 or going to www.mcachicago.org. You are limited to two tickers per order and any unclaimed tickets will be released 15 minutes before curtain time for the wait list, which begins one-hour before the performance. (*You must be in line, in person.) All tickets to be held at Will Call. Harris Theater tickets for the Moderns programs (Aug 23 & 24) to be released on Wednesday, July 20 at noon at the theater box office (205 E. Randolph) or by phone at 312.334.7777. Auditorium Theatre tickets for the Masters program (Aug 25) will be released Thursday, July 21st at 11:00 am and will be available at the theater box office (50 E Congress), at 1.800.982.ARTS or by visiting this Ticketmaster web page. Tickets for the Movies program (Aug 26) and the festival finale Celebration of Dance performance at Pritzker Pavilion in Millennium Park are first-come, first-serve with no tickets required. Past seasons have “sold out” extremely fast. Good Luck! This entry was posted in Auditorium Theatre, Chicago Dancing Festival 2011, Harris Theater for Music and Dance, Jay Franke, MCA, Richard Move by Vicki. Bookmark the permalink.